Newcomer H Sokerissa! 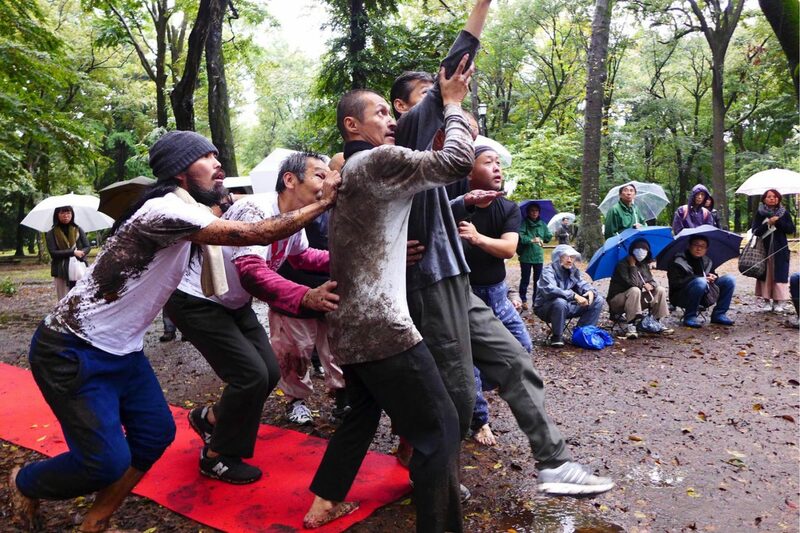 by Yuki AOKI have prepared a new performance after two and half months of practice, and will be presented at the Ueno Park Fountain Square. Based on the research of the park where a diverse range of people gather, among historical and cultural facilities, the performance introduces the body expression that is born in such an environment. AOKI, who perceived the reality of life among the street people who are forced to live in the environment where every day is a struggle for “living,” offers a presentation of body expressions that poses the question about freedom in our modern society.